Volunteers are frustrated after the fliers they posted about Susan in her husband's neighborhood were torn down. Now the president of the Country Hollow Homeowners' Association has made them take down the rest of the fliers, which are designed to raise awareness about Susan's disappearance. "The regulations of the community do not allow any posting of signs on community property," he told the volunteers. "As the president of the association, I have to tell you." It's not like they were hanging Yard Sale signs! You would think that they would make an exception for missing people! Do you think by now they amended their "Regulations"? I really hope they mapped out the pings to figure out where he went that night. That should be standard operating procedure with any POI in a missing person case. As much as I would love to see this lovely young mother be found alive, I just don't think it's going to happen. His story and actions, and the moving speaks volumes to me. With the temps warming up and the snow melting away, it is perfect timing for these searches. I believe many volunteers will come forward to help search for Susan. Dis, that is so thoughtful of you to forward the information on to contacts in Utah. March 17, 2010 - It's been over three months since Susan Cox Powell disappeared. People say it's time to give her family closure. So, they are coordinating a ground search April 10 from 9 a.m. to 4 p.m. (click here for details). Susan's friends and family issued a press release Tuesday about the ground search being conducted by a group of concerned citizens. They started a discussion tab where people can sign up to help. Within hours of posting the press release dozens of people stepped up to offer their time, equipment, and services. This is another example of how people are coming together to help in the search for Susan. Susan Himelright suggested horses can cover a greater area in less time, and that the Weber County Sheriff's Mounted Posse could be of great help. She even provided contact information for the captain of the department. Allyson Holmgren suggested cell phone GPS's work great even in areas with no cell phone service. Chris Willden said his company, Strategic Tactical Group, LLC, will be there with their training trailer and a pop-up tent for shelter, communications, first aid, and recovery if people need it. They will have ten two-way radios, two 4-wheelers, and will possibly get more people to volunteer in the search. Dale Sterrett and his wife, WyVonne, plan to be there and say they are well equipped with a Polaris Razor off-road vehicle and other items that would help in the search, including a Rhino GPS. Eric Slaughter said he'll be there on foot with knowledge of how to use a GPS. Colleen Clawson says she knows the desert very well and would like to help in the search for Susan. Melissa Rose Georgi said she'd love to help search for Susan. She plans to contact people she knows and believes "the more, the merrier." Tami Allen says her family will be there. Andy Johnston has offered to help with communications and says he has a 50 watt GMRS in his 4x4 that can be located to extend radio coverage. Joshua D. Moody says he has a group of about ten friends with BMW Off-Road bikes, GPS, and COMM who want to help in the search for Susan. Morgan Bronson would like to assist in the search for Susan and says she'll get as many people together as possible to help. Kate Olsen, too, said she'll be there and round up more people to help. Her grandfather ran a store in the area to feed the miners in the early 1900's. She understands the dangers of the mines out there and hopes information will be provided to searchers of where not to search. Jessica Clark said she and her friends will help in the search and that they have a GPS. Allyson Fiedel said she and others will be there, some on foot, others on 4-wheelers. Michelle Dahle says she'll be there to help. Melina Rodriguez and her husband, too, said they'll be there to help in the search. Joseph Kelley says his military experience, strength, and skills are at the service of search organizers. Dolores Del Rio Purrington said to count on two more people searching for Susan. Patrick Simpson said he has a 4-wheeler and friends from a Sportsman's Patrol group that will be there to lend a hand. Tyson Dixon says he's part of a larger group that would be willing to assist in the search. Elizabeth Baker said she and her co-workers will be there. Bill Greenhalgh from Bill's ATV Service & Repair will be there! Bill says he has a friend with a ranch, has ridden ATV's and knows a lot of the mine areas. They will bring GPS units, two-way radios, and willb e prepared. "It's about time we find her," he said. Velma Medina Gober said she'd like to help search for Susan. John and Marcee Boyer said they'll be there! Crystal Erin Oldham-Yengich says she knows the area very well and has wanted to help in some way. She'll be there with as many friends as she can gather together, she said. Mack Glover says, "God willing I should be able to make it." Emily Armstrong says, "I will be there as well . . ."
Ted and Kristina Hedgcock said they want to be there to help find Susan. Sgt. Jerry Joe Romrell said he'd be honored to help in the search, and that he's familiar with the area. Tracy Dugger says she lives in Eagle Mountain and would like to help. She said she can start at the mouth of the Pony Express Trail since she is close by and her husband, she says, knows the Simpson Springs area like the back of his hand. She said the snow is gone in the area. Debbie Gonzales Davis says she was born and raised in Tooele County and would like to help in the search. Susan Powell, 28, went missing from her West Valley City home Dec. 6. Her husband, Josh Powell, was the last person to see her. Josh claims Susan went to bed around midnight and about 30 minutes later he took their two young sons, ages 2 and 4 at the time, on an impromptu overnight camping trip in the West Utah Desert. It has been confirmed the temperatures were sub-freezing and Utah was experiencing a snow storm with strong, freezing winds. Josh claims he and the boys slept in the family mini-van. Josh remains the only person of interest in Susan's disappearance. Police call her disappearance a missing person's case with suspicious criminal overtones. Her husband, Josh, moved from the home in West Valley to the couple's hometown of Puyallup, Wash., to live with his father, Steven Powell. I think it's wonderful all these people are so willing and eager to help look for Susan - and it was great to read each of these names - it makes it more personal. I'm sure Josh is about to poo himself right lol. It also brings to light the danger that these searchers put theirselves in each time a person is missing - old mine shafts - that's pretty scary - esp on atv, etc - you wouldn't see it til you were right there on it... not to mention whatever wildlife might be out there. It is great that all these people are willing to search for Susan. I hope they can still determine a cause of death if her body is found. In far too many of these cases the body has become skeltonized by the time they find it. J4A~Hopefully the snow preserved some of the evidence. My heart swells thinking of all the people who have volunteered so far. I did forward the link. I know it will bring out some people. I am praying that they find her no matter what shape she is in, at least the family can have her back and bury her properly. Would the fact that she was married keep her parents from recovering her body. Her husband would be next of kin right? I hope not. Tooele County Sheriff Frank Park has concerns about a mass search scheduled next month for a missing West Valley City woman, but he intends to aid searchers nonetheless. On April 10, volunteers will gather in Utah’s West Desert to search for Susan Powell, who has been missing since early December. Powell’s husband, Joshua, claimed to have been camping with the couple’s two sons at Simpson Springs at the time of her disappearance. A press release was sent out Tuesday morning through the Friends and Family of Susan Powell Facebook page, asking for volunteers in a coordinated effort to look for the 28-year-old mother of two. The search will be headquartered at the Simpson Springs campground and will go from 9 a.m. to 4 p.m. But Park has some reservations about possibly hundreds of volunteers descending upon the remote west desert location. Wildlife, cold weather and abandoned mine shafts pose potential threats to the volunteers in what is an inhospitable area. There’s also a real possibility of searchers becoming lost, injured or dehydrated. When citizen searches for kidnapping victim Elizabeth Smart were being conducted in Tooele County in 2002 and 2003, Park was kept well informed and very few problems arose, he said. But he worries this search for Powell could potentially bring a lot more people. “I just can’t have that many people out in this desert without having some support,” he said. Park has spoken with several Tooele County Search and Rescue personnel who have said they’ll help, although he added the organization will not be officially aiding in the search. “We will have people in the area, just in case something does happen,” Park said. The group estimates about 200 people have volunteered to help so far, according to Joanne Bentley, one of the individuals who is helping to coordinate the search. But some Facebook posts or e-mails have had volunteers saying they’re trying to get friends together or may be bringing 20 people. The Facebook group is aware of the potential hazards in the area, and wants to work with local law enforcement. The group intends to send its search plan to the Sheriff’s Office and is hoping to be able to meet with Park soon. The press release sent out by the group mentioned that all volunteers will be required to sign a waiver and present ID. It also includes a list of items to bring. All volunteers will also receive a briefing that morning discussing what to do if they come across possible evidence, what to be careful of, and how to conduct a proper search. Bentley said members of the public should visit the Facebook page to keep up to date on the search. March 18, 2010 - (Updated) Linda Osborne, who has been out in the desert for months trying to find clues into the disappearance of Susan Cox Powell, came across a cement strip last month the size of a body that she reported to police. On February 16 Osborne was out searching in Utah's West Desert. She stumbled upon a concrete strip about 7' long and about 2.5' to 3' wide. One area of the strip was wider than the other, appearing it could be covering a body, the wider area possibly the size of a person's shoulders. It's still unclear whether police have checked into this. Here is a slideshow of some of the pictures from Linda's photobucket. Looks suspicious....If not Susan, maybe someone else!!! They need some of that high tech sonar that can see through just about anything rather than digging it up...Wonder if they can validate that Mr. Powell had purchased cement??? SALT LAKE CITY, Utah – Susan Powell's father no longer believes his son-in-law's story has any credibility. This week, Chuck Cox went to Simpson Springs in remote Tooele County in Utah. 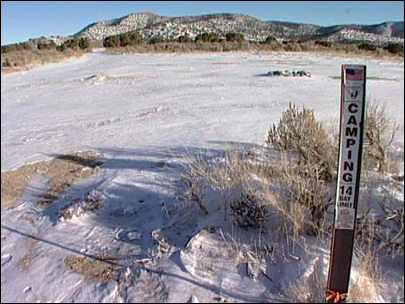 For the first time, he saw for himself the campground where Josh Powell claims he went the night his wife disappeared. It has been more than three months since Susan Powell was last seen. Josh Powell claims he left her at home on the night of Dec. 6 and drove his two boys the two hours to Simpson Springs, where they camped out and cooked s'mores. Cox always had his doubts about his son-in-law's claims, but he had to see for himself. He hit the road toward Simpson Springs, turning off the pavement and down the hard-packed dirt road in his car. And for the next hour, he wound his way through hills and down increasingly narrow roads. "My daughter never would have let him out of the house with the kids that night to go camping," he said. Josh Powell claims he made the journey down an unlit road with his kids in the dark of night as a major winter storm approached. Cox believes on that December morning, the pass to the campsite would have been impassible, especially considering Josh Powell was driving a minivan with front-wheel drive and little clearance. "You get pulled into there, get stuck real easily in a car like this," he said, seeing potentially problematic areas. At the campground, Cox ran into a scout troop from Riverton. It just so happened the troop was also camping at Simpson Springs on the weekend of Dec. 6, and left just as the flurries were starting. "I have never been in a camp that cold," one scout said. To walk among the campsites of Simpson Springs was a revelation for the grieving father. His speculation hardened into belief. He now firmly believes that whatever happened that night did not happen at Simpson Springs. "It confirms it," Cox said. "The only hard thing is thinking she could be out somewhere ... a place like this." - KTVX-TV in Salt Lake City contributed to this report. What’s more the search has been closed to the general public. Only groups and people who have equipment and expertise in search and rescue are now being invited to join in. Again, it was a difficult decision, but a necessary one given the remoteness of the search location and the lack of facilities. One of the original organizers wrote me: “We’ve always tried to do what is best for Susan.” There are no egos here, just determination to see the job done right. And if that means letting others take the reigns, then so be it. Many people will no doubt be frustrated by these decisions. They looked forward to the search as a way to finally expend some of the pent up energy and even frustration from the last four months. It was finally a chance to get out and look for clues to the fate of a young mother who has become the focus of the hopes and prayers of thousands of good people. To those people I can only say this: Please realize that the decisions were made after consultation with police and with Susan Cox Powell’s own family. I know many of the people who had a part in this decision and I am confident they made it with your safety foremost in their thoughts. Over and over again, I heard Chuck Cox and others say that they could not bear the thought of someone getting hurt – or worse – while they searched for Susan. I believe these difficult decisions will go a long way in allaying those concerns. As a simple reporter who has watched from the wings, I applaud the folks of the Cache Valley – Shawn Sorensen and Joanne Bentley chief among them -- who first called for and began to organize this search for Susan. A lot of people talked about a search, but they started the ball rolling. They did not know Susan, but were still drawn to the drama of her disappearance by a noble human desire – the desire to help. I also applaud the good men and women of Bridgerland Fire and Strategic Tactical and other organizations who will do a lot of the heavy lifting to make this search happen on April 10th. I am so humbled to witness so many people struggle to do the right thing. God bless and prosper your efforts. Scouring the desert » Family and friends full of praise for volunteers, but search ends in frustration. Simpson Springs, Tooele County » They came with ultralight aircraft, dogs, ATVs and old-fashioned shoe leather, but after a day-long search Saturday along the old Pony Express Trail near the Simpson Mountains, 28-year-old Susan Cox Powell remains missing. Dozens of volunteers combed through an area between the Davis Mountains and the Slow Elk Hills southeast of the Dugway Proving Ground's artillery and bombing range for the mother of two who was reported missing Dec. 7. Her husband, Josh Powell, said he took the couple's two young sons camping Dec. 6 at the Simpson Spring's Campground about 25 miles west of Vernon in remote Tooele County. Joshua Powell told authorities he left his wife at their West Valley City home. She has not been seen since. Powell is the only "person of interest" in the case, according to the West Valley Police Department, which already had searched the Simpson Spring's area. Kiirsi Hellewell, a close friend of Susan Powell's, acknowledged the hard work of the West Valley City police Saturday. "But this is something we can see," she said of Saturday's effort. "Today, it's so heartwarming to see so many people come out here and help us." Shelby Gifford, a spokeswoman for the Cox family,also praised the volunteers. "It's gratifying to see so many give their time in our quest to find Susan and what happened to her." area for the missing woman was Owen Ose, who divides his time between Utah and Arizona. "This is like a needle in a haystack because they have so little idea where she might be," he said. "But this [search] will alleviate some concerns for those who think she could be here. And you never know." The tranquil campground looks out across the vastness of Utah's West Desert as it stretches westward to the Dugway Mountains and beyond to the Deep Creek Mountains that straddle the Utah-Nevada line. The search, however, was restricted to an area less than 10 square miles. Kent Price of Eagle Mountain was among a group of pilots who fly "power parachutes," ultralight aircraft that can skim just feet off the ground at about 25 mph. His group, unofficially called the Cedar Pass Air Force, has volunteered on several search-and-rescue missions. "We can fly very low and very slow and plop down just about anywhere," he said. Don Despain, Fountain Green, was among the Cedar Pass group of seven pilots who were flying grids along the Simpson Mountains. "We don't scar up the land," he said. "And we can cover a lot of area." But the expanse in question is huge and after four months in the wild, any human remains would be difficult to identify, even up close. That is why folks like Kurt Hadfield and his 3-year-old German shepherd, Kaiser, volunteered. The pair, affiliated with Ogden's Great Basin Search & Rescue, are trained to identify human remains, among other things. "A dog's nose is 1,000 times more sensitive than a human nose," Hadfield said. Among the 60-or-so volunteers were a dozen who accompanied Fire Chief Jon Watkins from the Bridgerland Fire Company in Logan. They walked search grids along the old Pony Express trail, looking under brush and behind rocks. "If it was my family, I would like to see this kind of support," Watkins said of the volunteer search. "It's nice to see this many people come out on their day off and look out for someone they don't know." One of Josh Powell's friends said Josh was obsessed with crime shows and at a 2008 Christmas party, Josh told him that a mine shaft would be the best way to dispose of a body. Watch the video on the right at the following link. IDAHO FALLS, Idaho - A badly decomposed body of a woman was found about 12 miles east of Idaho Falls last week. West Valley City police confirm they have been in contact with Idaho police there as part of their investigation into the disappearance of Susan Powell. A local newspaper reported that the body was found by a driver who pulled over and was searching for a better cell phone signal. West Valley Police say there are two missing woman cases in Idaho Falls. Authorities did not say whether they will be sending a detective to Idaho and are awaiting the results of an autopsy. Susan Powell, a 28-year-old mother of two, was reported missing on Dec. 7, 2009 from her West Valley City home. Her husband, Josh Powell, who is the only person of interest in the case, told police he took his two young sons camping at around midnight on Dec. 7 on the same day his wife went missing. Stay with FOX 13 News and fox13now.com for the latest developments on this story. I'm anxious to find out if it's Susan. I can't imagine how her family is feeling right now. Either way, someone's loved one was dumped there like a piece of garbage. WEST VALLEY CITY — West Valley police are keeping an eye on the discovery of a body in Idaho Falls, but detectives say it's unlikely that it's that of missing West Valley mother Susan Powell. "(Idaho authorities) are pretty sure it's one of their missing-person cases from three years ago," West Valley Police Capt. Tom McLachlan said. "They're pretty positive it's going in that direction." KPVI News, the NBC affiliate in Idaho Falls, reported the badly decomposed body was found Friday off a road by a man whose truck got stuck. As of Monday, McLachlan said his department was not going to send any officers to Idaho but rather would let detectives there handle the investigation. Powell was last seen Dec. 7. Early that morning, her husband, Josh Powell, took their two children on a camping trip in a remote area of Tooele County at 12:30 a.m., he told police. Temperatures that night were below freezing. Josh Powell said his wife was gone when he returned home. He has since moved back to his hometown of Puyallup, Wash. He remains the only person of interest by police and has refused to cooperate with investigators. Test results on the body found in Idaho Falls could take anywhere from several weeks to a few months. McLachlan noted that the police department there had two missing-women cases of their own that were still unsolved. Stephanie Eldredge, a mother of three, has been missing since 2007. Amber Hoopes, 20, has been missing since September 2001.
wasnt this body found close to where the hubby said he was camping?? In cases I follow the authorities are usually right about whose remains they think they've found, but it would make sense that Powell dumped Susan out of state where people wouldn't think to look for her. Idaho Falls is 305 miles from Simpson Springs Campground. It's a six hour trip according to Google Maps. They might not have gone to Simpson Springs at all. If you take a four-year-old and a two-year-old camping, they aren't going to know the difference between Simpson Springs and Idaho Falls. They were definitely gone long enough to make a six hour trip both ways. oh.. thanks.. i thought that the body was found CLOSE to where he said they were camping..
A couple months ago a concrete slab big enough to cover a body was found pretty close to where Powell said they had been camping, but detectives finally tipped it upside down in March and there was no body underneath. Josh told a friend at a Christmas party in 2008 that a mine shaft was the best way to dispose of a body because it would be deep, go straight down, and be nearly impossible for someone to find a body. There's a small chance the body in Idaho Falls may be Susan, but I fear that she was disposed of in a mine shaft. I hope the truth in this case comes out eventually. I wish we could get Dr. Lillian Glass to do an analysis of the following video from December. SALT LAKE CITY -- The remains of a woman found near Idaho Falls do not belong to Susan Powell. According to the Salt Lake Tribune, West Valley City police Capt. Tom McLachlan said Idaho detectives confirmed that on Monday. The remains of a woman were found Friday just north of Ammon, Idaho. Since the city is less than a day's drive from West Valley City, detectives here contacted authorities in Idaho. West Valley police say their Idaho counterparts believe the remains belong to an Idaho woman who disappeared in 2007. However, it could take weeks for confirmation from forensics tests. Susan Powell was reported missing Dec. 7. Even though it's probably not Susan, it's still SOMEONE'S daughter...mother...sister, etc. How sad. I hope they identify her & get her back to her family. WEST VALLEY CITY -- It's been months since Susan Powell disappeared from her West Valley City home, and the case is still getting national attention. Susan's disappearance is featured this week in a popular magazine. A website, which has some of Susan's friends shaking their heads, also highlights the six-month mark of the case. While police say they are working hard to resolve this case. Susan's friends and family say it's getting more and more difficult to maintain hope when the reality that she may never be found is starting to sink in. "It's really discouraging, and it's hard to keep up hope every day," says Susan's friend, Kiirsi Hellewell. But that's all friends and family of Susan Cox Powell can do. "There's just this sense of weariness; this just heavy to carry around. We're so worried and heartbroken," says Cox family spokeswoman Shelby Gifford. Police say Susan's is still a missing person's case and the only person of interest remains her husband, Josh, who lives in Washington state. "The biggest frustration of all is that her husband, who was the last person to see her, doesn't speak up, doesn't talk to police," Gifford says. The family suspects the website SusanPowell.org was created by Josh, or someone close to him. A new page, titled "Six Months," says Susan's family is still trying to cope with her absence. It says everyone hopes she will walk back through the door soon -- something friends say won't happen, because Susan didn't leave on her own. "It's like a slap in the face to everybody who knows and loves Susan," Hellewell says. West Valley police won't say much about the investigation. They've received test results on some of the evidence but are tight-lipped about it. "We still have eight detectives assigned. They're still working very hard on it. We're following up on leads," says Capt. Tom McLachlan, spokesman for the West Valley Police Department. Last month, Susan's parents, Charles and Judy Cox, came to Utah to meet with investigators. They visited the Simpson Springs area, where Josh told investigators he went camping with his two kids the night Susan disappeared. Hellewell says Josh was also recently back in Utah, just for a day, but it's unclear what he was doing here. Susan's disappearance is featured in this week's issue of People magazine. Friends hope that will renew interest in a case they so desperately want solved. "Obviously, I hope for them to either find Susan or arrest the person who took her," Hellewell says. A private company is planning a new search for Susan in the West Desert at the end of June. Friends also plan to post fliers at sporting goods stores so people who spend time outdoors this summer will keep an eye out for any sign of Susan. KSL News tried to contact Josh Powell's attorney Tuesday for comment, but our call was not returned. Sad to think that some people do get away with murder. This case has stunk since day one. Who takes a 2 & 4 yr old camping in below freezing weather? I sure hope he doesn't get away with this. It's just heartbreaking. Missing » He says his family is not attacking Mormonism on website SusanPowell.org. Susan Powell's husband and his family have worked with "six law-enforcement agencies" to find her, according to her father-in-law. Steve Powell, Josh Powell's father, also said in an e-mail that recent Internet postings on SusanPowell.org about whether LDS Church resources were used to pressure his son were meant to criticize specific people and not the religion itself. Josh Powell and his family have said little publicly since Susan Powell disappeared about six months ago. "We know the general public has some legitimate questions, even if we don't always feel at liberty to respond to everything," Steve Powell wrote to The Salt Lake Tribune. "But we also feel that a lot of the questions coming from a core group of detractors are asked rhetorically and are designed to raise doubts about our family." "When you read the blogs and articles," Steve Powell added, "you notice that those motivations revolve heavily around a religious disagreement." Susan Powell disappeared Dec. 7 from her West Valley City home. Her husband, Josh Powell, has said he took his young sons on a late-night camping trip to Simpson Springs in Tooele County and when he returned his wife was gone. Josh Powell gave some early interviews to West Valley City police but has not responded to requests to speak with detectives there again. West Valley City police have called him the only person of interest in his wife's disappearance. In his e-mail to the newspaper, Steve Powell did not specify what law-enforcement agencies he and his son have been working with or how they have attempted to find Susan Powell. "The agencies we are working with don't want or need the publicity," he wrote. Later in the e-mail, he added: "We have worked with six law-enforcement agencies so far, who are involved in our efforts to find Susan." West Valley City police Capt. Tom McLachlan on Wednesday said he is not aware of the agencies with which Josh Powell has reportedly worked. "I guess you can say he's talked to us," McLachlan said, who added his department still has a standing invitation for Josh Powell to submit to another interview. In February, SusanPowell.org was launched. It asks for help in locating the missing woman and refers to Josh Powell as a loving father and husband. Although the posts on the site are unsigned, Steve Powell confirmed the site "belongs to us, and a number of friends and family members have contributed." A post dated Sunday says Susan Powell's father, Chuck Cox, has used the "Mormon Church phone directory" to call Josh Powell's friends and to "pressure" him. The post also accused people of being hostile to Josh Powell for moving in with his father, who is an former member of the church. Steve Powell said: "I've taken a look at a few blog posts [Tuesday] and it looks like people feel like we are attacking their religious views. If you read the page carefully, you will notice that this is not the case. We have not mentioned one tenet of Mormonism, and there's no gratuitous negativity." Shelby Gifford, a spokesman for the Cox family, on Monday said Chuck Cox has not used any church directory to pressure Josh Powell, though Chuck Cox has repeatedly asked his son-in-law to cooperate in the police investigation. "If Josh is feeling this huge sense of pressure, the best way to relieve it is to sit down with police," Gifford said. 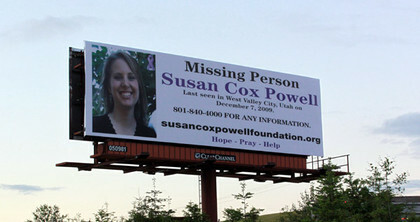 SALT LAKE CITY -- The family of missing West Valley City woman Susan Powell hopes a new billboard will help find her. Powell's parents put up a billboard with her picture and a phone number along Washington's State Route 161 near their home in Puyallup. They plan to put at least one more similar billboard in the Salt Lake City area next week. They say they want to remind the public that she's still missing. Powell disappeared from West Valley City six months ago. Police say Susan's is still a missing person's case and the only person of interest remains her husband, Josh, who now lives in Washington state. SALT LAKE CITY -- Police say it could take some time, before remains found at the University of Utah are identified. Two Chevron workers cleaning up an oil spill found the remains in Red Butte Creek Sunday. An autopsy was performed on the body Monday afternoon, and University of Utah police are now waiting for the results. They say because the body was so badly decomposed, it may have been in the creek for months. Police know very little about the remains, including whether they are that of a man or woman. They say there's nothing to indicate foul play. There were some clothes on the body but no identification. Police say, generally, when a body is such advanced stages of decomposition, the medical examiner will look at bone structure to determine its gender. They say the skeleton can also reveal height and weight. This can be a time-consuming process. "It takes time to get dental records, if you have any dental records, but then you have to have an idea of who the person might be; and at this point in time, we don't have any idea of who this person might be," said Capt. Lynn Mitchell, with the University of Utah Police Department. Over the weekend, Chevron increased the water flow in the creek in order to flush out the oil still remaining from the June 13 leak. Two workers were in the area north of the Williams Building, on the University of Utah campus, when they saw what appeared to be a foot sticking out of the water. It's possible the body started out further upstream. The University of Utah Police Department has no missing persons cases, but it is working with other agencies who do have missing persons cases. Police say they have already received calls from people with missing loved ones. When they know more about the remains, they may turn to the public for help identifying the person. Sadly, this body seems more like it might be Susans' than the others. I hope and pray that one day she will come home - i sadly doubt that she will come home alive, but at least for a proper burial and hopefully for some closure and justice at holding the perpetrator responsible. Add all the hours West Valley City detectives have spent investigating Susan Powell’s disappearance and it would be more than three years’ worth of what most Americans put into their job. Police Capt. Anita Schwemmer on Wednesday said detectives in her department have spent at least 6,850 man hours to date searching for Powell, at a cost of more than $150,000. And the meter is still running. Five of the department’s 28 detectives are assigned full-time to investigating Powell’s disappearance. “I don’t even have a guess as to how close we are to a resolution,” Schwemmer said. She declined to discuss evidence or leads in the case. WEST VALLEY CITY -- Nine months after the disappearance of Susan Powell, the emotions surrounding the mother of two are still very raw for those who were closest to her. It was nine months ago Tuesday she was reported missing, and after thousands of hours of investigation there is still no sign of the West Valley City mother. 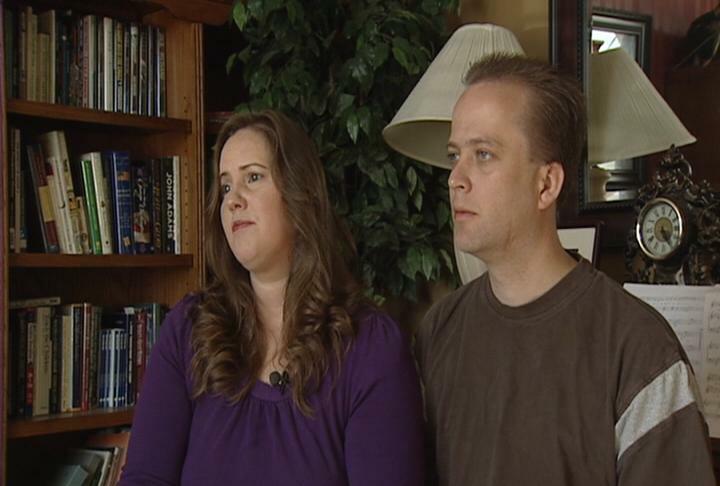 KSL spoke with the family of Josh Powell, Susan's husband -- he is the only person of interest in the case. The family members say they are frustrated with what is happening with Susan's case. They say there is very little information being passed on about her disappearance from investigators to their family. "We get no information, practically," said Jennifer Graves, Josh Powell's sister. "So we're not really sure if things are moving forward really, or if it's kind of at a stalemate, or who knows. We're just not sure." Jennifer Graves and her husband Kirk Graves say Susan's disappearance is still very fresh on their minds, and the fact that no new information has been presented about her case is frustrating. "Sadly, I don't think there has been anything new at all," Kirk Graves said. Still, they realize there may be police work going on behind the scenes. They say their frustration is based on the fact that police still haven't taken the steps to bring Josh Powell in yet. The husband of missing Utah mother Susan Powell maintains his wife simply walked away from her family, even as his own sister said she's "quite convinced" he was involved in her disappearance. "Has he kidnapped her, holding her somewhere? Has he killed her?" Josh Powell's sister, Jennifer Graves, asked. "Who knows?" Eight months after Susan Powell disappeared from the couple's West Valley City home, her husband -- who provided a bizarre alibi about a winter midnight camping trip with his toddlers -- continues to fend off accusations from her family and his own. Kirk Graves, Jennifer's husband and Josh Powell's brother-in-law, said his behavior after Susan Powell disappeared was telling. "Josh's reaction was, don't talk to anybody, be of no help -- not even family. Just get out," he said. Josh Powell has not been charged in the case and police have yet to make any arrests. Thank you for posting this update. Great video and great article! I followed this case until about a month ago . . . no new pertinent info. This is a case where I believe Josh is guilty of Susan's murder! Hi Ann. The news in this case has been slow. We went two months without a post in this thread between June and August. I agree that Josh is probably guilty of Susan's murder. The midnight camping in the snow story is too far fetched. In the following video from March, one of Josh Powell's friends said Josh was obsessed with crime shows and at a 2008 Christmas party, Josh told him that a mine shaft would be the best way to dispose of a body. Informative video, Justice! I don't know how I missed that video. Thanks for posting it. The mine shafts. . . .interesting thought and that is a high probability. Josh's own sister believes her brother is responsible. Yes, I agree with you Estee and Piper. No decent parent takes two small children camping in freezing temps and sets up a tent on snow covered ground at midnight! It is asinine and ludicrous for Josh to state what I feel is a BIG lie! A Puyallup man who is the only person of interest in his wife's disappearance wants to joins his local PTA. Some parents object to Josh Powell joining the PTA, but the organization says it is open to any parent who passes a background check. Justice, thanks for the article! If I was a member of that PTA, I would have strong objections to Josh being a member. Kind of scary and creepy when I really think about it! I wouldn't want him on the PTA with me. It seems like being a POI in the disappearance of your wife should make you fail a background check. It took a year and a half to arrest Drew Peterson after he came under suspicion for the disappearance of Stacy Peterson and the murder of Kathleen Savio, so maybe there is still hope that Josh will eventually be charged in Susan's case. I think eventually Josh will slip up. It may not be tomorrow; could be years down the road but one day . . . .! I wish someone would "stumble" upon Susan's body. Yes, I do believe Josh murdered her (Just my opinion). There are so many mines in the area. I can't quit thinking about that possibility. I really do appreciate the updates on the various cases I am following and RC is covering some of them. My time and especially until Coe's (Emma Thompson case) trial concludes is dedicated to Emma.. . . .contacting various media, etc. So . . . . I am getting behind on all of the cases I'm following. The good news is some of the cases are at a stand still (upcoming trials) and that helps me! SALT LAKE CITY -- The parents of missing West Valley mother Susan Powell are expressing concerns about the welfare of their grandchildren and about some things their son-in-law's family is saying. Charles and Judy Cox are speaking out as they visit Utah this weekend. Charles Cox says he hasn't seen Susan's children since April and he is worried about them living with their father, Josh Powell, and grandfather Steve Powell. "I'm not really concerned that they're warm or fed," Charles Cox said. "It's the social interaction and emotional support -- things that they need. I just don't think it's a good place for them to be." Thank you for the updates. Susan's parents have class. I know Mr. Cox has to be careful of what he says. He is between a rock and a hard place! I bet Josh is afraid the children might tell the Cox's something about the night Susan went missing. WEST VALLEY CITY, Utah - Parents of missing West Valley City woman, Susan Powell, say they are in Utah doing what they can to keep their daughter's story in people's minds. Powell has been missing for nine months and it has only increased the frustration of friends and family who are looking for her. Susan Powell went missing from her West Valley home on December 7. Her husband, Josh Powell, said he took their young sons camping in the snow that night and came home to find her gone. Police say Josh is their only person of interest and he is not cooperating. "The way he's handling it now is not helping his case, if he's innocent then talk to the police, let's get this out, get things going so that we can cross you off the list and going on to finding where she might be," said Susan's mother, Judy Cox. Written by: Dan Metcalf Jr.
LARAMIE, Wyo. (ABC 4 News) - A woman's body has been found near Laramie, Wyoming. Albany County Sheriff's Office investigators say the body was found on a ranch. According to investigators, the body belongs to a woman in her 30s, about 5 feet tall with short, light brown hair. Police believe the body has been there for at least 6 to 12 months. Investigators hope to identify the body using dental records, which could take 2-6 weeks. ABC 4 has learned that Wyoming authorities are in contact with West Valley City police, because of the Susan Cox Powell investigation.